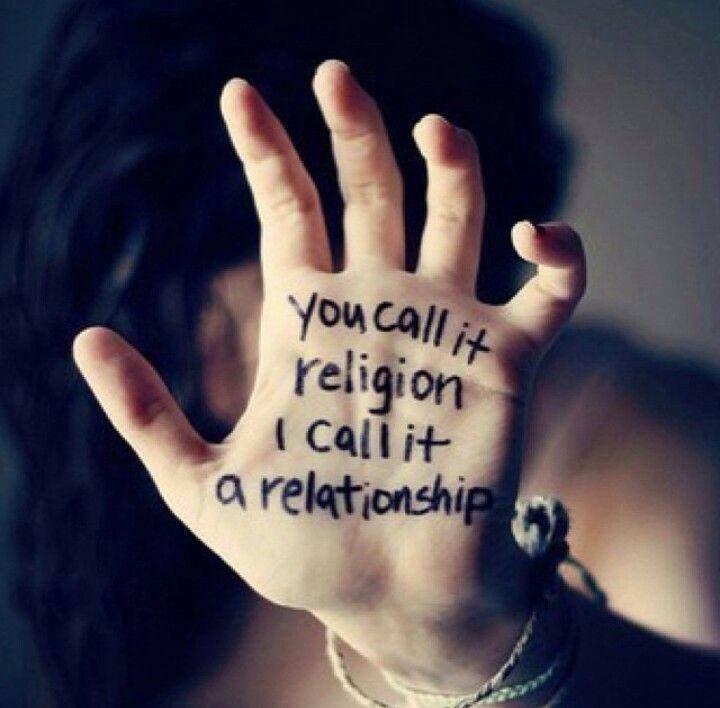 You call it religion, I call it a relationship. Ever wonder what happens when a person choses to believe Christ? When a person choses to believe and accept that Jesus died to reconcile them to God. For this post, I will be using 2 Corinthians 5 as a starting point for some of the many things that happen or begin to happen the instant one choses to believe personally in Jesus Christ as the only way of salvation. The only way to gain new life. First, the entire direction of one’s life changes. We were facing death and separation. We were setting (settling really) for what we believed to be the best purpose for our life, yet it was prioritized according to our limited human perspective. The direction of our life, did not consider what was best for us in the larger view of eternity. Second, Once one choses Christ, we have not only a new direction in life but a new life purpose. Now, through prayer we have full access to God’s wisdom and direction. Now, we are free to seek God’s purpose for our personal lives. Now, our purposes become God-motivated and God-driven. Now, seeking God’s purpose for our lives is one reason to learn and study His Word the Bible. Now, we grow and put down roots and become disciples of Christ. I don’t know about you, but knowing my life has a deeper meaning, an eternal purpose, gives me a hope beyond all the earthly hope I could muster up within my own limited human perspective. The NEW hope we gain as a gift of God is far beyond the scope of this earthly life. It is eternal. Our lives are now to be lived within an eternal perspective and purpose. Third, another change is that we now have a new desire to leave behind the things in our lives that hold us down, pull us back, and tempt or cause us to revel in sinful things. We have a new desire to please God and to obey His Word. Jesus tells us in John that those who are His disciples show their love by obeying His commandments. The NEW self, is not interested in old things. Yes, we are still human, so yes we fail. 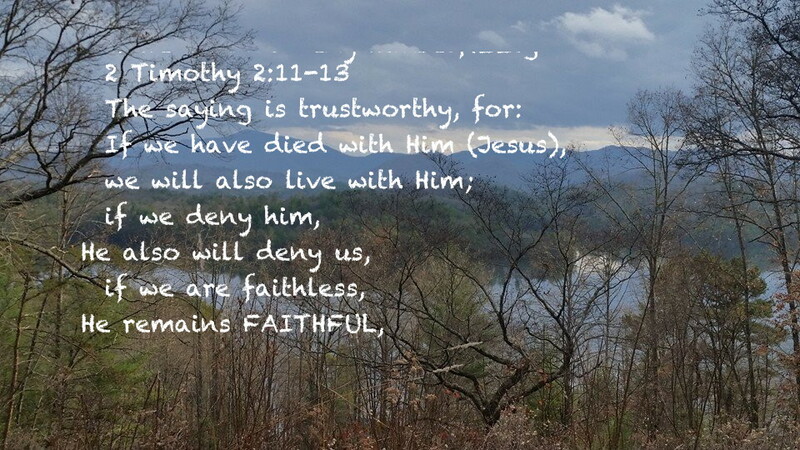 But when we do, 1 John 1:9 promises us that when we become aware that we have sinned again, we confess (agree with God), He is faithful and just to forgive us ALL our sins. Not just the ones we are aware of, not just the sins and failings of commission but also the failings of omission. And yes, even the sins of which we are unaware. One thing to remember is that as we make this spiritual journey and seek God, in our relationship of love toward God and His love toward us, we are intended to grow more and more like Christ and therefore overtime will fail and fall into sin less and less. Personally, I have found that for me what has changed is how I fail God, and how I see it. For me, it’s been rather like cleaning house. I clean the living room first because that’s what visitors would see. Then I clean the kitchen because that is where much of family life revolves and is seen. Then I clean the bedrooms because relationships are grown there. Then I clean the bathrooms. Yep, it’s the dirty spots I don’t relish and don’t really want someone to see, but the cleaning must be often and thorough or both I and those I love can become ill. Lastly, I clean the closets. My point is this: There are the parts of our lives we don’t show to others. The thoughts we think, the inner life of quiet rebellion and sin. The places of ugliness where we can have dark thoughts of envy, jealousy, rivalry and gossip. When I picture God walking through the thoughts of my mind like rooms in a house, including my thought “closet”, I quickly realize I am far from perfect and need to confess my shortcomings. But I am grateful to God that I am not who I used to be. God has and continues to change me. When we chose to believe in Christ and become Christ followers – disciples – sometimes we will need to change where we hangout, sometimes we will need to change friends. Sometimes we will need to change our language and learn to use of our tongue to lift up others rather than tear down. Sometimes jokes and filthy language must change. This may sound hard and when we look at this idea through our “old non-spiritual” eyes – our “natural” way of looking at things – we are constrained. We cannot see God-empowered possibilities. Our old self finds it hard to believe it is truly possible to walk away from things that displease God, to walk away from evil. YET – in fact with the new life in us, the power of the Holy Spirit living in us, changing these things IS possible. Yes, requires discipline and love – but will not be as hard as satan wants us to think it is. One thing I can say, from both my personal point of view and from things friends have shared with me over the years, is that God will chose an area of your life and ASK you to change. God will ask us in obedience to choose to change even if we don’t understand. Said another way, God asks us to abandon bad habits and failings in our past life and embrace the promises of God and all the potential of our NEW life in Christ. Few are courageous enough to take God at His word and fully believe the promises God offers His children. Fourth, once saved from the penalty of death and sin (Rom 5:1+2), we begin instead to look more and more — at all of life — through NEW spiritual eyes. We find that our desires change and the desire to do the things that God wants of us will grow stronger and stronger in us and we will truly want to make changes. Fifth, As we embrace more and more of our new life, we set down roots into our new life by joining into friendships with those who are like-minded to our NEW life. Find a place where learning in community is possible. In a larger group of believers, a place where one can worship God. Give God glory, receive from God and God’s Word. 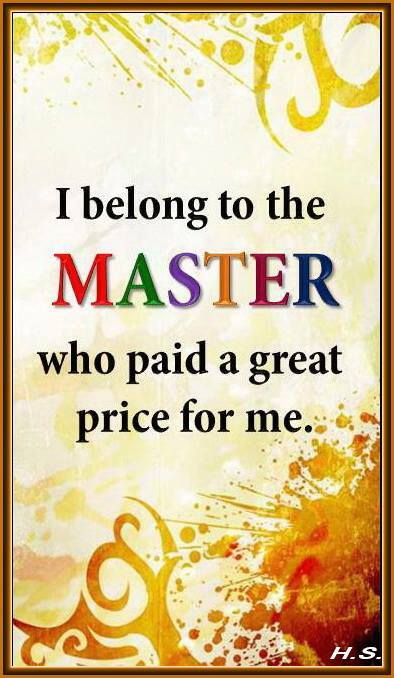 Learn from others that are further along on their spiritual journey. Find a place where you feel you can belong and become. Belong as you are now, where you are now. And hopefully in the same place, a place where you can become a fully functioning follower of Jesus Christ. Sixth, As we dig deeper into the Bible, the Word of God, as we seek to become a disciple, God strengthens and enables us to be able to change as He asks. For more information on how to do this read the Book of John in the New Testament. Seek help from a Christian pastor or someone else that you know is a believer in Jesus Christ. Another great place to begin is in a newer translation of the Bible, read Romans 12. Study it section by section. Find a Christian friend to study it with you. Find a local church sponsored Bible Study group or a church small group to learn and study more about God. Find resources on the internet; for example: check out “Living on the Edge” from Chip Ingram and his study on Romans 12. Start reading and studying how God wants us to live up to our faith in God. How to live up to a higher calling on our lives. Read from those strong in the faith who went before us. Read A.W. Tozer on Desiring God. 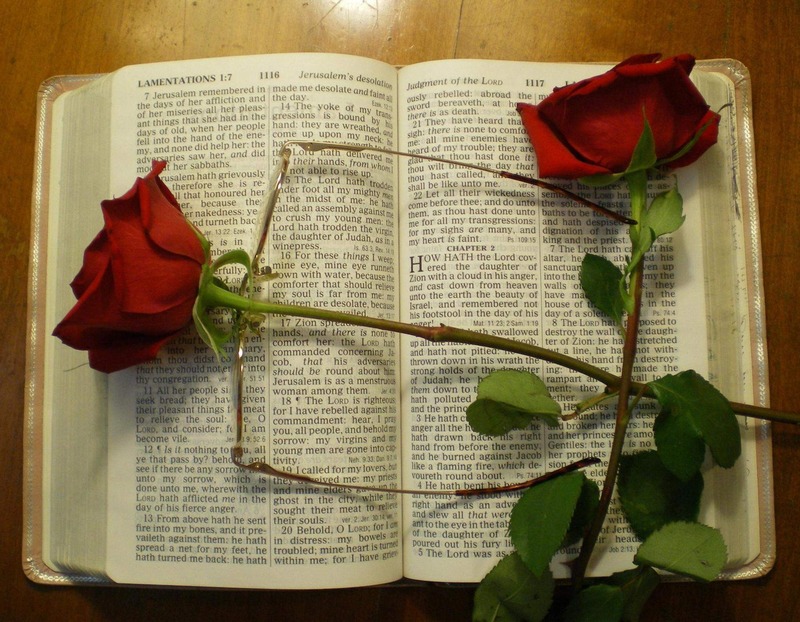 Read Christian blogs, biographies, study guides, but most of all – READ THE BIBLE. It is a “Believer’s Instructions Before Leaving Earth”. I have discovered in my own personal journey and believe, that God does not call us to be “Lone Ranger” Christians. Even as Jesus chose and sent out His disciples, He sent them out two by two. We are stronger and better enabled to follow Christ as we help one another. Seventh, one may find that inwardly, there is a deep desire (an almost overwhelming desire) to share the joy and good news of Jesus Christ with others. That is entirely normal. Often we want our old friends to make the same decision to follow Christ that we have made. I will offer only 1 caution: while you want to share the best thing that has ever happened to you, be prepared for others to reject what you want to share. Your old friends may instead want you to give up Christ, and return to the old you. So I will offer you want was recommended to me. Never speak to your friend about Christ, until you have spoken to Christ about your friend. According to James, if we need wisdom, we are to ask God and He will help us. I take that to mean when we’re not sure how to do something that we believe God wants us to do – such as share our decision and new life with old friends — ask God and He will help us know what to do. In closing, I just want to encourage anyone reading this to ask questions in the comments section. If you have also believed in Jesus as your Savior and can offer helpful suggestions and add items to the list of what we gain when we believe, add a comment. If you need help finding resources to help you grow, leave a comment. I probably can’t answer all questions, but hopefully, with God’s help, there will be ways we can support one another. As always your comments and feedback are welcome. It is my prayer that this blog is helpful to those that read it.